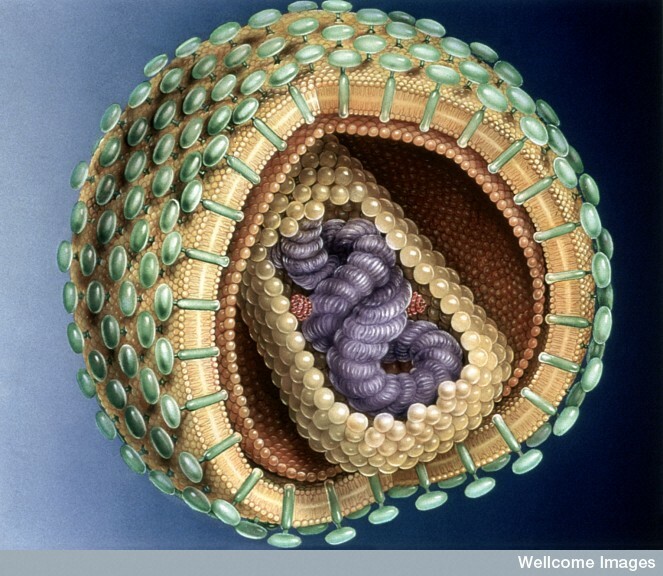 Viruses replicate inside cells, which shields them from some components of the immune system. In particular, antibodies can’t penetrate inside a cell1 to bind to a virus there, so antibodies are not much use for eliminating a viral infection.2 For some viruses that have to exit the cell to spread to a new target cell, antibody may help limit spread, but many viruses can spread directly from one cell to its neighbor without ever being exposed to antibodies. So once a virus has entered a host’s cells, you probably want mostly cell-mediated immune responses, such as T helper cells and cytotoxic T lymphocytes, to get rid of the virus. That’s for eliminating viral infections. What antibodies are often extremely good at is blocking infections–stopping the virus from ever getting a foothold. A virus that enters your body has to be exposed to extracellular components at least briefly before it can burrow into its protective cell. 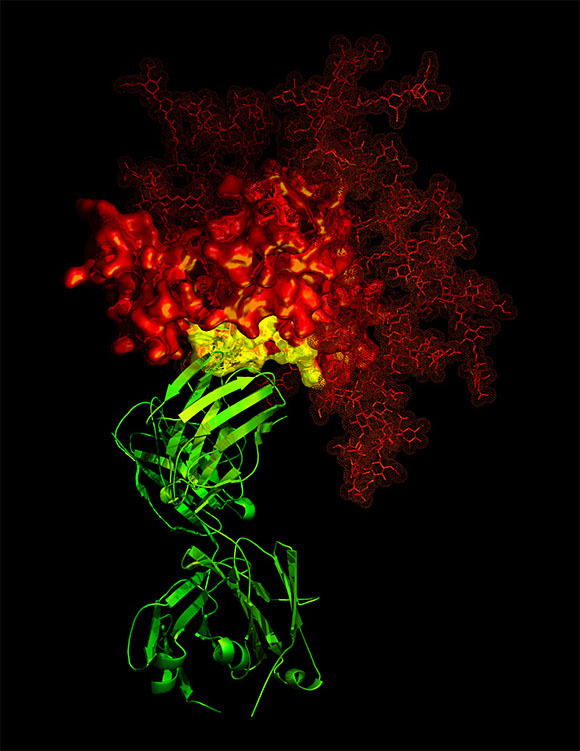 During that phase the virus is vulnerable to antibody-mediated inhibition. Antibodies therefore may be relatively unhelpful for getting rid of an ongoing infection, but they can be very good at protecting against new infections. Not surprisingly, then, most3 antiviral vaccines depend on inducing a strong and specific antibody response. That also means you can often get away with killed virus vaccines like the Salk polio vaccine, or even subunit vaccines like Hepatitis B vaccine; these are very poor at inducing cytotoxic T lymphocyte (CTL) responses, but they don’t have to. Killed vaccines are, in principle, intrinsically safer than the attenuated viruses, or even vector-based recombinant vaccines. Why are researchers looking for alternatives? So why is there so much interest in developing vaccines that stimulate CTL? Why are so many groups working on vector-based vaccines or attenuating viruses? One reason is that these vaccines are (again, in principle) intrinsically more immunogenic than killed vaccines. If you can give one dose of vaccine, and then have your antigens stick around for a couple of weeks, or even amplify themselves as they replicate in situ, then you may not need to give a second (booster) dose of the vaccine. That’s a moderate advantage in the first world, and potentially a huge advantage in the third world, where you may only have one chance to visit your patients. Another reason is that to a large extent we’ve already nailed the simple problems. If a killed vaccine can protect against a major pathogen, we probably already have that vaccine up and running. We’re left with those virus diseases that, for one reason or another, are not easily prevented by antibody-type responses, and so cellular CTL-type responses are the most promising next step. Surface antigens in these pathogens have probably evolved to be variable; there’s been selective pressure for a pathogen to be different from the majority, since that way they’re less likely to infect an immune host.5 Internal antigens–those that are not exposed to antibodies-tend to be more highly conserved. Internal antigens aren’t exposed to antibodies, but they’re perfectly good targets for CTL. This is one reason for the interest in developing vaccines that induce good CTL responses. There’s another approach, though. We have a lot of experience with antibody-based vaccines. It would be nice if there was a way to use them against HIV and HCV. Are there sections of the virus surface that are not variable? If so, then designing a vaccine that raises antibodies against these regions might be effective against many different strains. That’s been a hot topic for quite a while, and in fact there have been some steps forward on this front for HIV.6 More recently, in the latest issue of Nature Medicine7 there’s an article suggesting that some antibodies may be able to neutralize many hepatitis C strains. The results provide evidence that broadly neutralizing antibodies to HCV protect against heterologous viral infection and suggest that a prophylactic vaccine against HCV may be achievable.